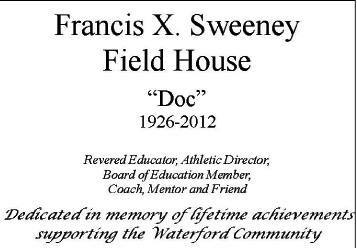 As I prepare to travel to my high school reunion, the image which completely dominates my mind’s eye is Francis X Sweeney, an iconic figure in my life and in the lives of generations of students in Waterford, Connecticut. 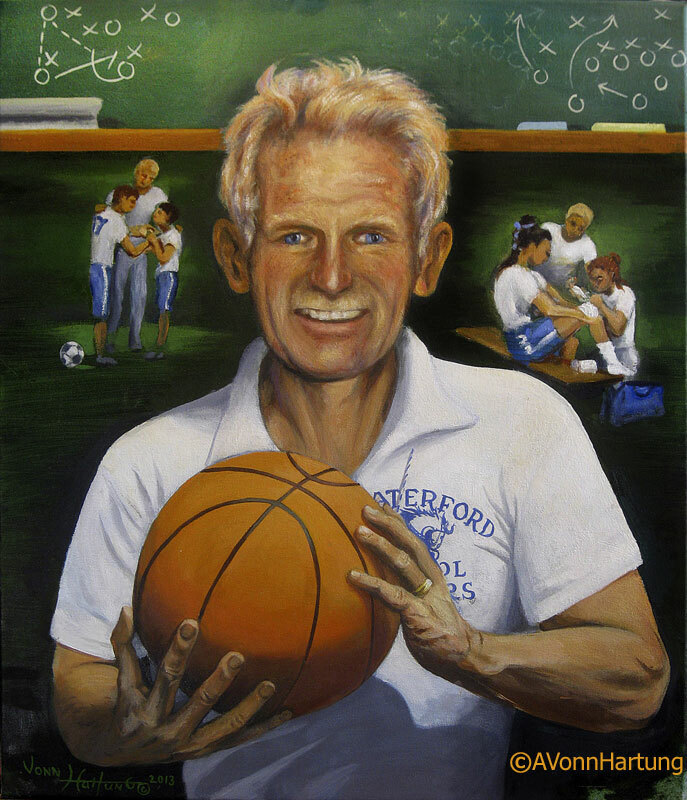 A native of Maine, Mr. Sweeney began teaching physical education in Waterford in 1951. 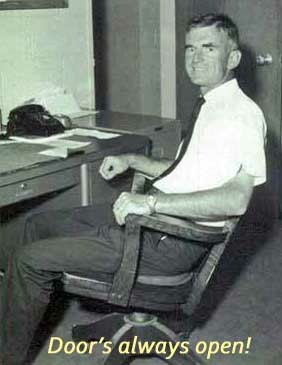 When the high school opened in 1956, he became the first athletic director, and also taught math, science and health. He coached nearly every sport and doubled as a trainer, lifeguard and swimming instructor. A father of six and devoted husband to Betty Cragin Sweeney, he was insistent on having as many sports for women as men. He was committed to Waterford, becoming a member of both the Boards of Education and the Waterford Recreation and Parks Committee. You didn’t have to be an athlete to be in Fran’s inner circle. He looked at who the person was and what their qualities were. He loved the students of Waterford, acting as a mentor to many. In April 2013 I contacted a group of friends from the class of 1960 and we launched a grassroots effort to change a 213 year old town policy which prohibited naming buildings or fields after any one person. It was like a tsunami! It took on a life of its own. Communicating with all these people, most of them much younger than me, that’s what would have excited Fran the most, that we were all connecting and working together. 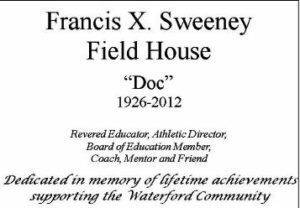 Hundreds of people signed petitions and on September 26th the Board of Education voted to change the policy and on October 29th unanimously voted to name the new athletic complex the Francis X Sweeney Field House. Now, 213 years later, they have changed the policy and the town has assumed a personality. And there is no better personality to choose than Francis X Sweeney. I was deeply inspired to paint an oil portrait of Mr. Sweeney shortly after he passed away in December 2012. 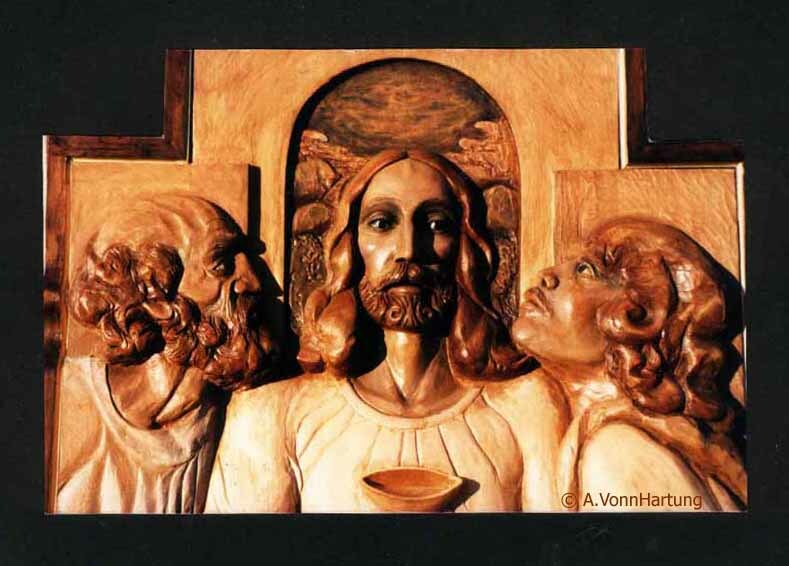 The painting was later reproduced as a very large giclee print on canvas and unveiled by the Sweeney family at the Dedication Ceremony in January 2014. 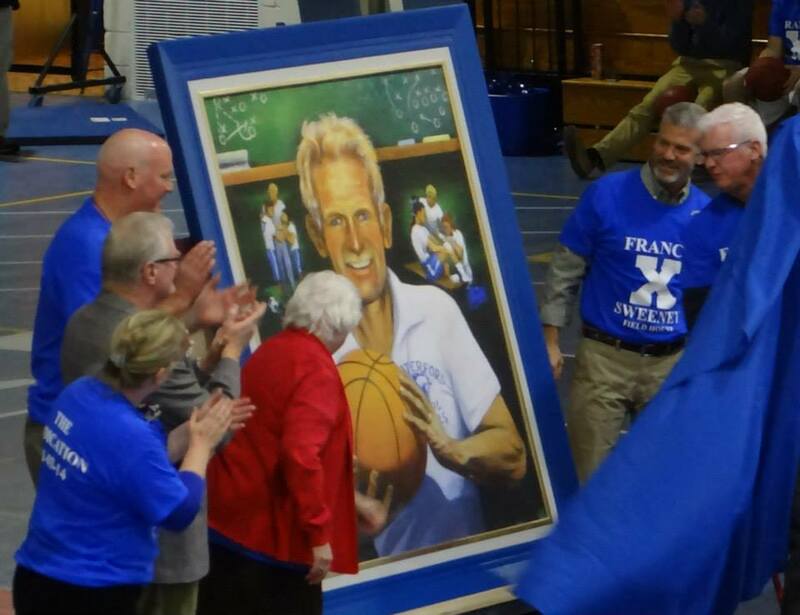 The idea of painting a portrait was planted in my mind even before I thought about naming the field house for him. He was such a good friend and it was something that I could do despite me being so far away. When I started, I closed my eyes and thought of Fran in his fullest. 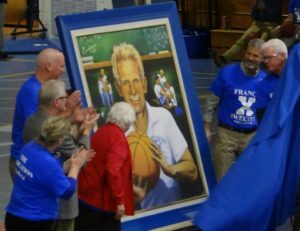 The essence of Fran Sweeney was that he wanted to play ball and he wanted you to play ball with him. He wanted people to learn, to have fun and to feel good in their own bodies.